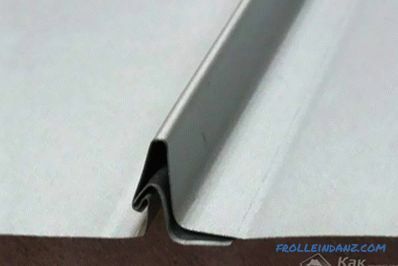 The folding covering is a surface of metal sheets, the connecting seam of which is formed by the special bending of the edges of roofing blanks. This type of mating allows you to get a fairly strong connection. 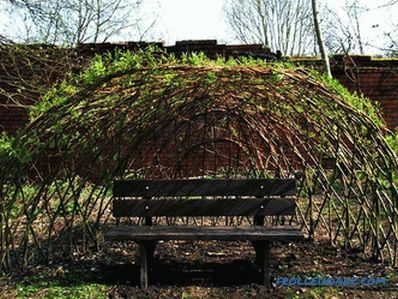 The technique of making a folded roof with your own hands is somewhat different from the known methods of joining sheet blanks. In this case, instead of riveting or welding mechanisms, a special seamer is used, with the help of which it is possible to form an aesthetically attractive and fairly reliable connection. high quality and reliability of connecting seams. 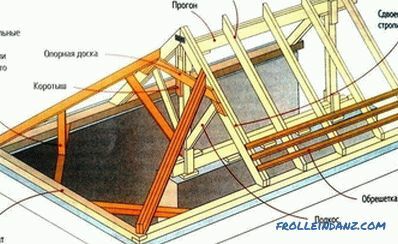 All the above-mentioned advantages make it possible to use this technique of coating formation in the repair of buildings of any profile, as well as in the manufacture of roofs in newly built houses. 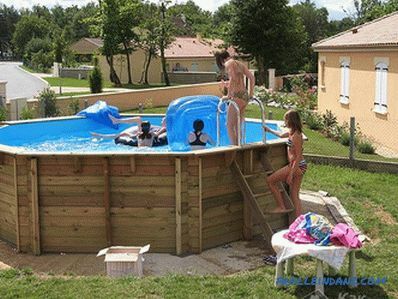 This method is especially popular in low-rise (private) construction. We note in passing that when mounting the base under the seam cover, a classic "roofing cake" is prepared, which includes elements of hydro, steam and thermal insulation. 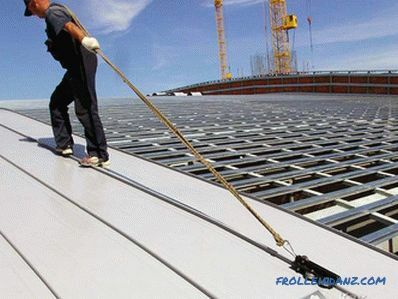 At the same time, the roofing material itself, cut and laid out in the form of strips of rolled steel, has a decorative polymer coating that specifies its color range. Steel billets are laid on the roof sheathing by pre-measured longitudinal strips, which are not always can be whole. 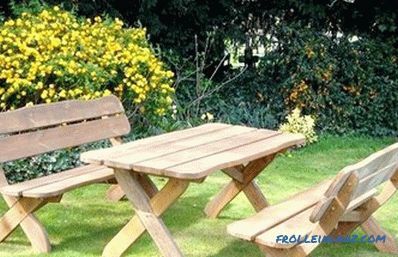 For the quality joining of individual strips of flooring, a special type of connection is used - the so-called "recumbent" fold, which has a flat shape and is hardly noticeable against the background of the coating. Note that the longitudinal edges of the workpieces are connected using the standing seam method (see . drawing), forming a complex convex shape. Notice also that in addition to the standard single connection can be used locks with a more complex double fold. To prepare any of the above connections, you need a special mechanism - the so-called machine for rolling the seam ". We do not even recommend trying to replace it with any self-made fixture (or other improvised means) , with the use of which it is possible to violate the technology of formation of the seam and, as a result, a decrease in the quality and reliability of the formed joints. If it is impossible (or unwilling) to purchase a machine for rolling seams, you can use a roofing set with already formed edges that provide a self-locking folding lock.The latter consists of the so-called "locking tooth", which, when applying one metal strip to another, is easily captured by the hook-shaped profile that is on it. just snap the lock, which usually takes quite a bit of time. special gun for sealing the seams with sealant . Regardless of the chosen method of joining sheet blanks, they are fixed to the batten by means of special clamping fasteners, a feature of which is their absolute invisibility. When installing, each of the stacked panels should face its lower lock in the direction of the next element. 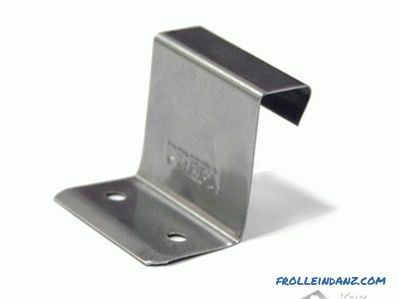 Two types of clamping fasteners are used in construction: movable and fixed. 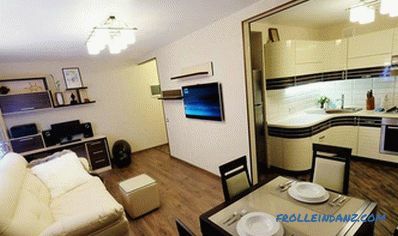 Movable mount is used when working with sheets longer than 8 meters, and fixed - for relatively short sheets. 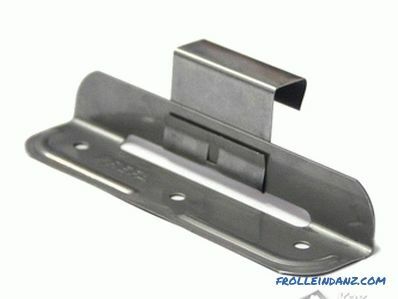 The structure of these mounts also includes a standard screw complete with press washer. Roofing is laid from bottom to top while maintaining a fixed distance between the longitudinal seams.It does not matter which side of the roof to start installation; The main thing to pay attention to is the correct orientation of the lower lock.